Hotel du Vin has opened its seventeenth property in Shakespeare’s birthplace, Stratford-upon-Avon. 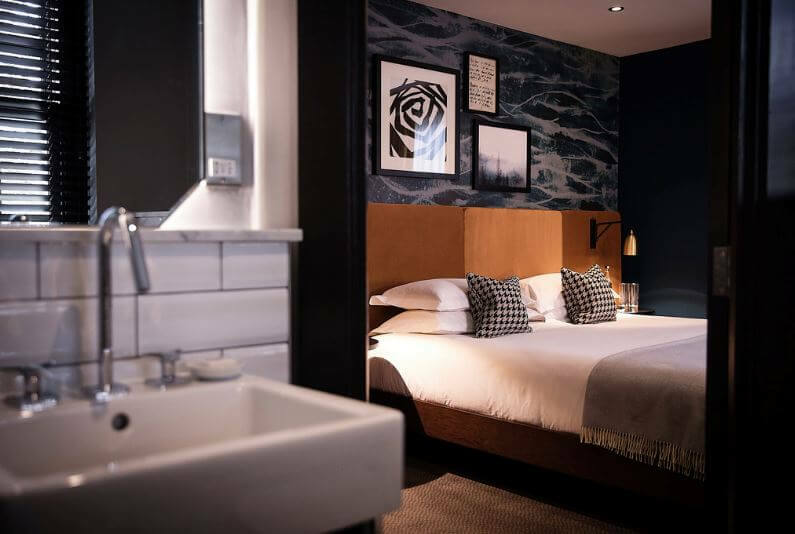 Situated right in the centre of this historic town in a listed building dating back to 1798, the boutique hotel has 46 rooms and suites, a bistro and bar with two private dining rooms, al fresco dining in the landscaped courtyard and a function space for up to 70 people. Over the years the building has served as a doctor’s surgery, a gentleman’s club and a registry office and has now been sensitively transformed, adding a contemporary feel whilst retaining its character and charm. It’s now the ideal spot for after-work drinks, afternoon tea or relaxed, French-styled bistro dining, matched of course with the perfect glass of wine. Open for breakfast, lunch and dinner, the bistro décor matches restored pieces with modern additions. Choose from a la carte and prix-fixe menus at lunch and dinner featuring classic Gallic main courses such as Cassoulet, Lamb Gigot, Sole Meuniere and Moules Frites as well as a selection of 28-day, dry-aged, on-the-bone steaks.